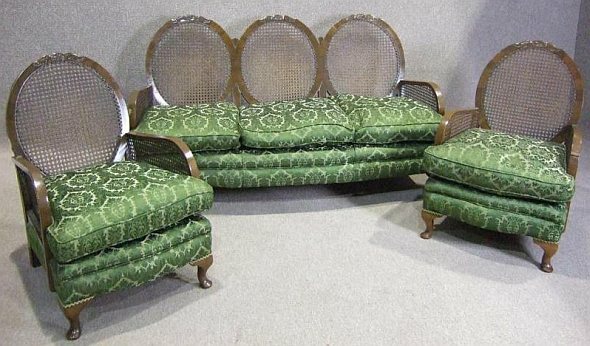 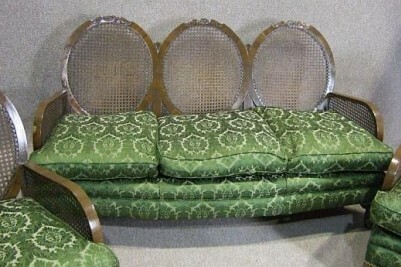 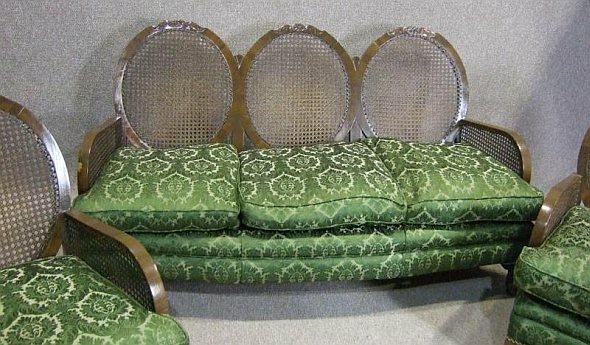 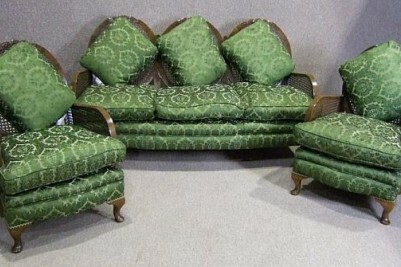 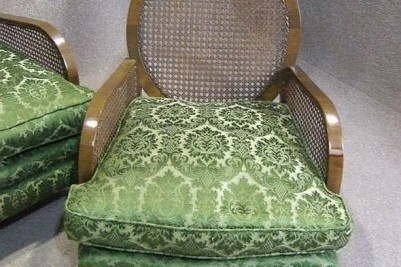 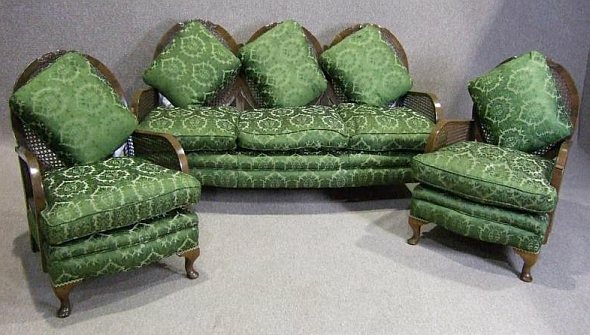 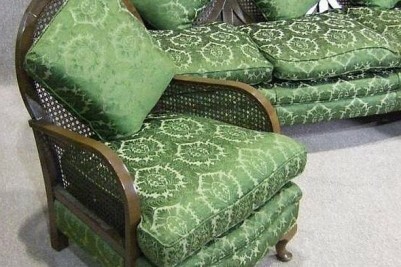 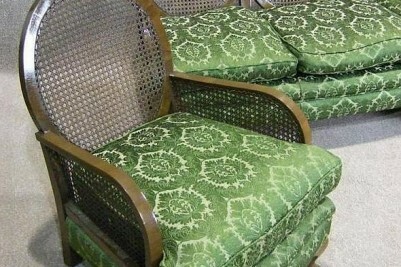 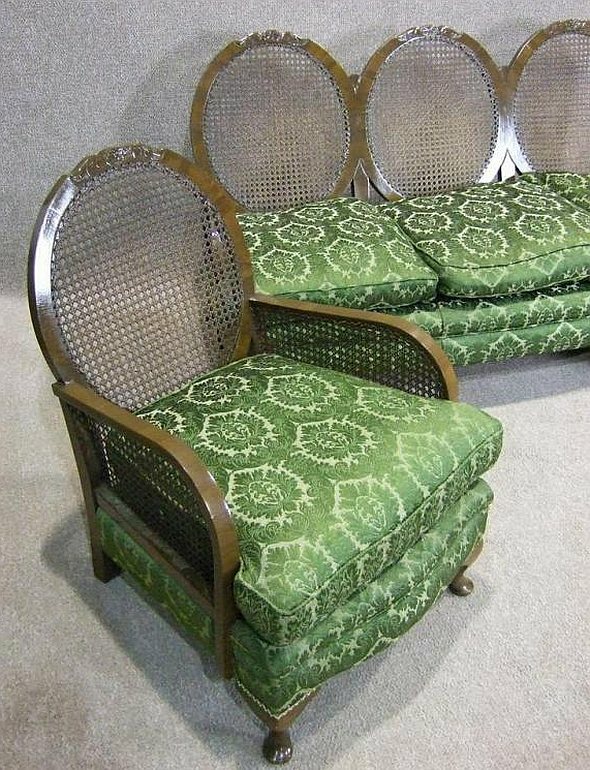 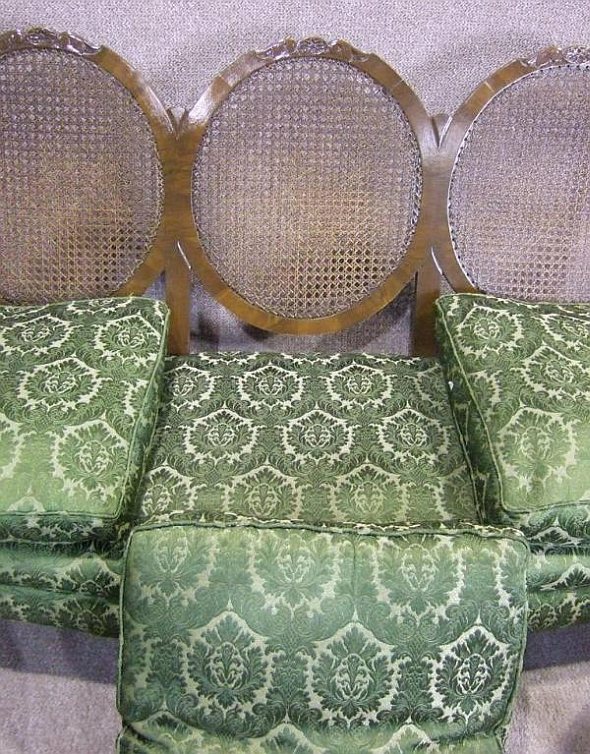 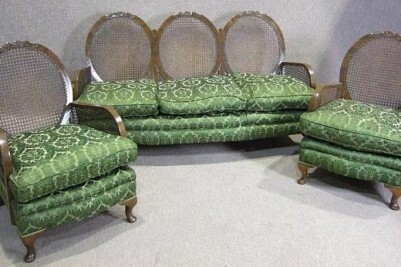 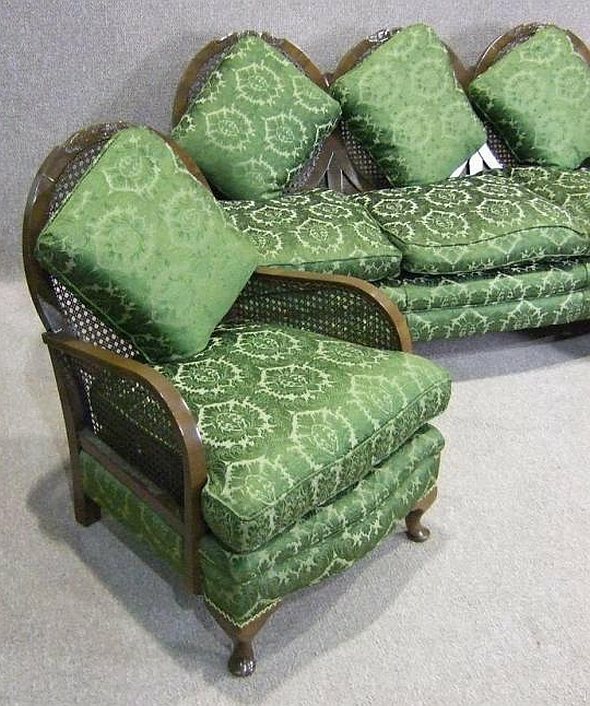 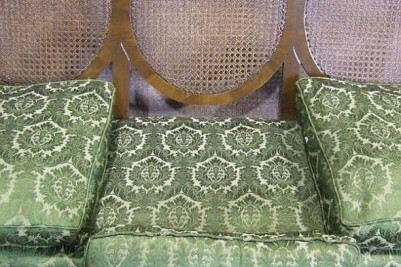 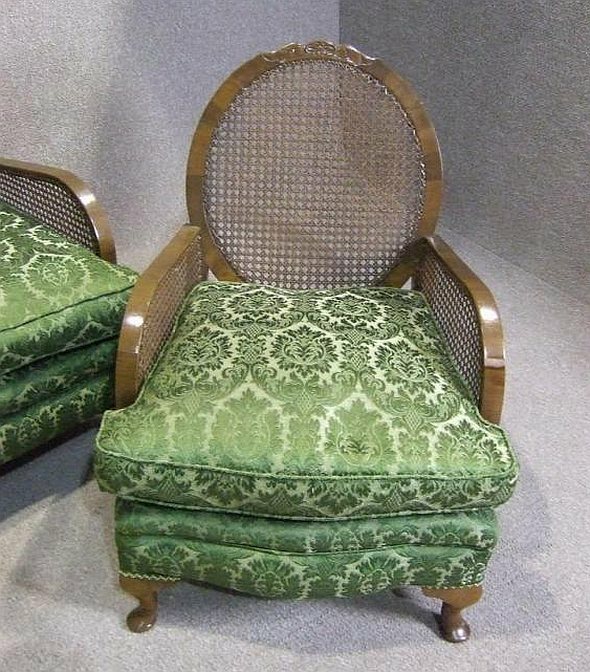 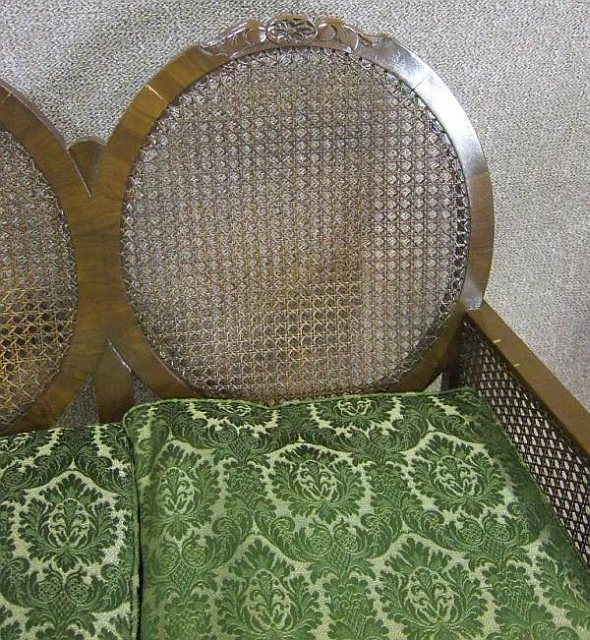 A beautiful, circa 1930s, bergere three piece suite. 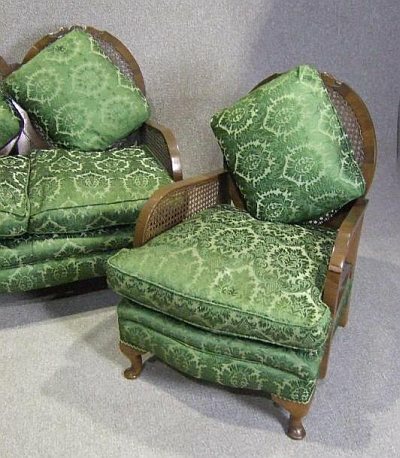 With its stylish design, these items feature a bergere back in a circular pattern. 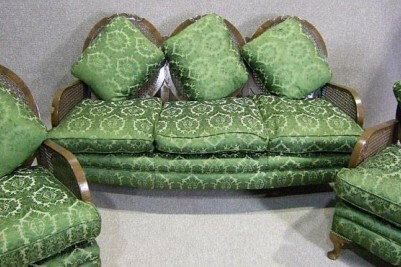 The sofa is complemented by two matching armchairs. 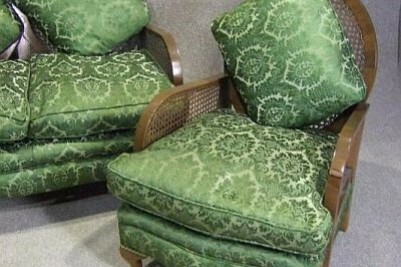 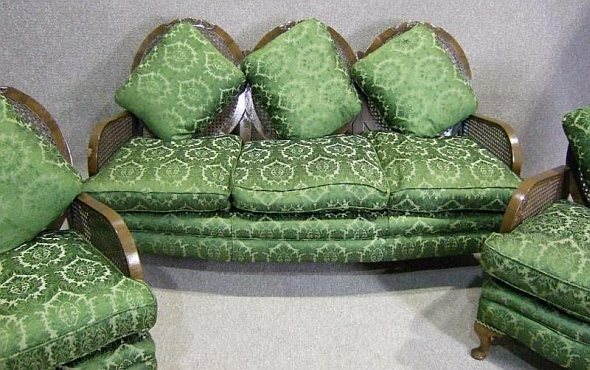 The whole piece is finished off with emerald green feather filled cushions; a lovely addition to any period conservatory or living room. 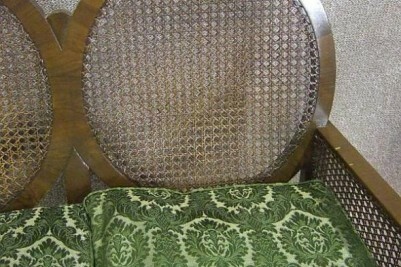 In lovely condition for its age, with just a small amount of wear and tear.